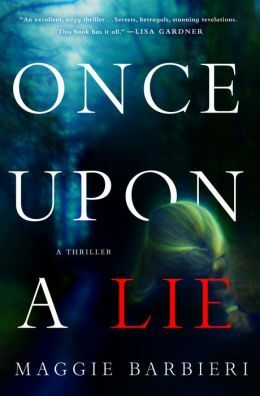 On Tuesday, the BOLO Books review of Maggie Barbieri’s new novel, Once Upon a Lie, was posted. Today, the author herself is joining us for a delightful interview. Enjoy! 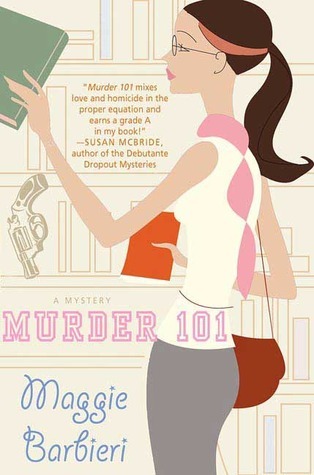 BOLO Books: Your Murder 101 series is distinctively lighter in tone than your new book, Once Upon a Lie. Of course, there is still humor in the new book, but the overall tone is much darker. Did you have any trouble making that transition? Maggie Barbieri: I was ready to make the transition to a different series with a different feel, and one day I woke up with the entire plot (more or less) in my head. My humor tends toward the dark or gallows-type humor anyway, so adding some humorous touches to this decidedly sadder story was easier than you’d think! And growing up the daughter of a cop myself, I definitely heard my fair share of stories that were dark yet tinged with humor. BOLO Books: Once Upon a Lie features a new series character for you – Maeve Conlon. When you started the book, did you intend for it to be the start of a series or did you think you might be writing a stand-alone novel? Maggie Barbieri: When I started it, it was definitely a stand-alone. But then, as I revised and edited it, I kept thinking that Maeve had more stories to tell. Speaking of that, I just finished the first draft of book 2 but a book 3 plot is invading my brain so I’m hoping we get to that point in the series. Maeve is complicated, surely, and someone I want to get to know even better. BOLO Books: Tell us a bit about Maeve Conlon. Maggie Barbieri: Maeve is a divorced mother of two who lives in a small village in Westchester County. She is a small-business owner in that same village, something that lends itself to different complications and scenarios. She grew up in the Bronx with just her father, a police officer, her mother having passed away when she was young. Sadly, for Maeve, her husband left her for one of her friends and that leads to some interesting situations in the book. Maeve is true-blue as a friend, a fiercely protective mother, and someone with an ironclad sense of right and wrong, of justice. BOLO Books: Maeve owns The Comfort Zone, a bakery. What is it about this career path that lends itself to being such an effective one for your amateur sleuth? Maggie Barbieri: Great question! I’ve thought a lot about this. I was trying to come up with a character who had a job that was unusual and creative in nature, one that made people think of the character as being one way—soft and gentle—but not realizing that deep down lent itself to someone with strength. I have a good friend who is a baker and while sweet and kind, is strong and capable. Lugging bags of flour and hand-rolling pastry is not for the weak; I learned that during a few stints in my friend’s bakery when she was just starting out. A baker is on his or her feet all day and works 24/7, particularly if the store is their own; that person has to be strong and committed and love what they do. BOLO Books: Throughout Once Upon a Lie, Maeve is dealing with her father’s decent further into the dementia brought about by Alzheimer’s. Other than the fact that it obviously gives him an excuse for having forgotten where he was on the night of the murder (and thus allowing him to become a suspect), why did you want to write about Alzheimer’s? Maggie Barbieri: Honestly, I really didn’t want to write about Alzheimer’s but when I started writing about Jack, I realized that this was who he was and what he was battling. It seemed to be part of the mystery, too: for much of the book, I think we’re left wondering just how serious Jack’s problem really is. What does he know? And how much about his daughter and their shared history does he remember? The journey from complete mental health into Alzheimer’s is so terribly sad and I tried to treat it with sensitivity and care; Jack Conlon is definitely one of my favorite characters and I wanted him to play an integral role in the story and in Maeve’s life, despite his struggles. BOLO Books: Maeve and her best friend Jo have an interesting relationship which feels very “real.” Like all relationships, friendships require work. How did you decide upon their dynamic? Maggie Barbieri: Thanks for saying that! Jo is the person that Maeve wants to be—honest, forthright, not afraid of her emotions. She says many of the things that Maeve is thinking but is too buttoned-up to say. (I think many of us have a friend like that.) She has a great relationship with Maeve’s daughters and as the mom of two myself, I know that there is usually one person outside the family who your children really respond to; dealing with that in a healthy way, and not being threatened by it, is how I wanted Maeve to deal with it. Maeve has a deep affection for Jo that has grown over time and stems from a part of her wanting to take care of her best friend. Jo is a terrible worker in the shop but Maeve puts up with her because they have a special bond that has developed from the pain they both endured in their personal lives. BOLO Books: Tell us a bit about the cover design? The book itself is not an easy one to encapsulate in a single image, but I think the design team did a great job with the cover for Once Upon a Lie. Are you happy with it? Maggie Barbieri: Is that cover amazing or what? I live along the Hudson River and there are trails and parks to walk but I also live in a town with a manmade Dam that inspired a lot of the settings for the story. The route that Maeve is walking, as depicted on the cover, looks exactly like a trail that I walk with a friend. It’s uncanny how the designer was able to illustrate that so clearly and accurately. To say I’m happy with it is a total understatement; I actually burst into tears when I opened the cover file. It is perfection. BOLO Books: Your “day job” is as a freelance college textbook editor. 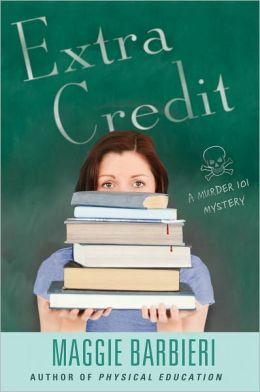 How has that career helped you with your second career writing mystery novels? BOLO Books: What’s next for Maeve Conlon and her unique collection of friends and neighbors? BOLO Books: That is cryptic indeed. Brings to mind all types of possibilities. I can’t wait for book two in the Maeve Conlon series. If forced to choose only one format for all your future reading, which would you choose: Hardback, trade paperback, mass-market paperback, or e-book? And why? Maggie Barbieri: I read them all! I do keep a Kindle on my kitchen counter and when the day is done, you’ll usually find me with a glass of wine reading a book on my e-reader. In my office, I keep my to-be-read stack, and right now, all of those books are in hardcover but you will find, at other times, a mass-market paperback or a trade paperback in the mix. To me, the invention of the e-reader has really revolutionized the way we read and increased how much we read—I love the immediacy of it. If I see a book reviewed that interests me, I’ll download it immediately; I don’t think I’m alone in that. But to choose one favorite format is beyond me. I’ll read anything, anywhere, and in any format. Whatever facilitates that is my favorite of the moment, if that makes sense. Thanks for these great questions, Kristopher! I appreciate the time to get my thoughts down and share them with your readers. BOLO Books: My pleasure Maggie. Wishing you the best on the launch of the book next week. See you at Malice!